The Palmer Group » Exciting New Listing – 16 Knollwood Drive In Dover MA. Exciting New Listing – 16 Knollwood Drive In Dover MA. 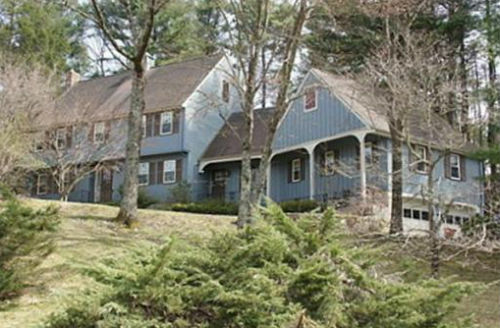 16 Knollwood Drive, Dover MA Home For Sale. Remarks: Looking for a “Diamond in the Rough?” This well maintained Classic New England Colonial has been cherished and enjoyed for years and awaits new owners. Perched on a private lot in one of Dover’s best neighborhoods. Home has great potential and offers deceiving space with large fireplace family room and bonus great room, elegant living & dining rms, large kitchen. Ask agent/remodeler for cosmetic remodeling plans that will make this home spectacular. Will not last in this neighborhood at this price. CONTACT US NOW REGARDING THIS LISTING. SEARCH ALL HOMES FOR SALE IN DOVER NOW. We are Massachusetts real estate specialists. With over 30 years experience selling, buying, and developing homes we have earned our distinction in a crowded market of agents claiming to be #1. If you would like to schedule a buyer or seller meeting with us, contact us at 508-596-7377 or [email protected]. RECEIVE BLOG POSTS DIRECTLY TO YOUR INBOX, SUBSCRIBE HERE! My Builder/Realtor is your most comprehensive online source of insider real estate information in the industry. Whether you are looking for the latest sales, trends or homes for sale in Massachusetts, My Builder/Realtor has it all at your fingertips. Browse information regarding new listings and open houses, home buying and selling tips, and home building information. Homes On The Market Now In Dover Priced Between 600k and 1.0 million dollars. This entry was filed under Buyer Tips, Featured Listings. You can follow any responses to this entry through the RSS 2.0 feed. You can leave a response, or trackback from your own site.